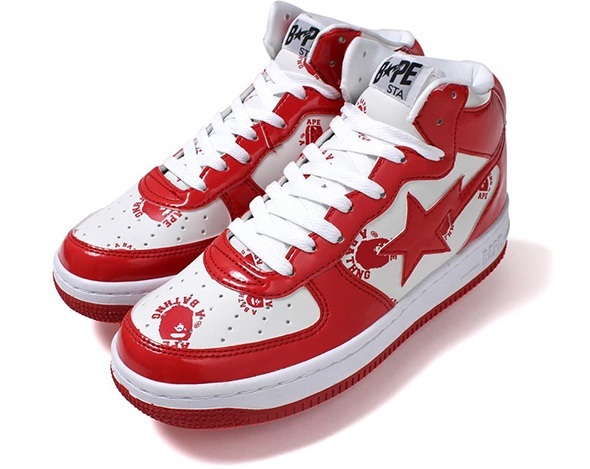 A fresh look for 2013, Bathing Ape is back with sneakers in three new colorways. Featuring the BAPE college print pattern, these Japanese bad boys see a new spin on a classic BAPE mid-top sneaker. With white leather uppers and accents of Red, Black and Navy on each sneaker respectively, these are sure to get the web buzzing. These drop today, have you gotten yours yet? Let us know via our Facebook/Twitter. More photos after the jump.